While it seems that television viewers are falling in love with streaming media in all sorts of forms, it appears that the companies behind shows also love it, but at least one television creator would rather do without it. 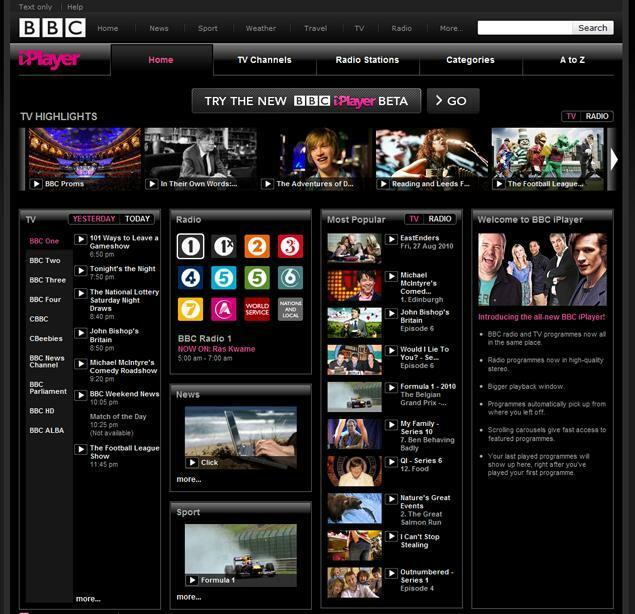 The British Broadcasting Company (BBC) is so happy with how its streaming video system known as iPlayer is doing, they are looking into expanding it into other countries. Ever since the iPlayer launched it has only been available inside the U.K., and even license paying English who lived elsewhere couldn’t view it. The government network is currently looking into allowing those people to view it elsewhere, but there is also talk of selling the right to use the system in other countries. “Within a year we aim to launch an international commercial version of the iPlayer,” BBC director general was quoted as saying at the MediaGuardian Edinburgh International Television Festival. Not only is the company enjoying great success with its computer-based player, but they served up 5.3 million streams to iOS-based devices recently. At least in England people are going nuts for alternative ways of viewing their favorite television programs. Contrast this with at least one television creator in the United States who wants his program pulled off the Internet. Steve Levitan, the creator of the hit ABC series Modern Family has been lobbying the ABC Network on which his show airs to remove the program from all online streaming solutions. “I don’t believe Hulu’s upside outweighs the potentially disastrous long-term effects,” Mr. Levitan told The Hollywood Reporter. I value every single one of our viewers, which is why I just want them to be clearly counted, no matter on what platform they’re watching. Right now the producers of “Modern Family” have no idea how many people watch our show each week on all platforms, and nobody seems to want to tell us. If a disproportionate number of any show’s viewers watch in alternative ways, then, under the current system, that show may not appear to be as strong as it actually is. If a show brings someone to a screen, any screen, then shouldn’t they get credit for that? If not, then some really interesting new shows with a disproportionate number of young online viewers will get canceled because their audience isn’t being counted. That said, I’ve been told that Nielsen will step up its measurement of online numbers this season and that other companies like Rentrak are making inroads. Hopefully, these are steps in the right direction. The problem is, the networks may not be telling you the numbers, but I can guarantee him that the networks know full well how many views each video is getting. It’s interesting to see a medium getting embraced and damned at virtually the same time. As someone who loves streaming media, I feel Mr. Levian is way off base in his perceptions of the technology. Consumers want to view programming when and where they want and not be tied down to a network’s scheduling, and I think BBC’s numbers, while in a different country, seem to back up that concept. What say you? Do you prefer streaming media or being tied down to a network’s scheduling?